A Community Coalition Preparing Students to Grow, Graduate, and Pursue their Goals. The High School Plus Coalition brings community partners together to build solutions and create resources that help students succeed in high school and beyond. Led by the Greater Bloomington Chamber of Commerce Franklin Initiative and United Way of Monroe County, High School Plus identifies and works to eliminate problems that cause kids to drop out of school. The interactive Roadmap to Success website helps users in Monroe County navigate resources that increase high school success and completion, as well as encourage college and career readiness. Designed with students, parents, and counselors in mind, this innovative tool helps guide career and school choices and contains up-to-date national and local resouces. The Roadmap to Success (http://Monroe.RoadmapToSuccess.org) guides users to information about workforce, colleges and training programs, ways to pay and save for education after high school, and much more. In place at both MCCSC and RBB school districts, Graduation Coaches build supportive relationships with at-risk students, provide one-on-one counseling, monitor grades and attendance, and connect with parents. These Coaches are funded by the Franklin Initiative; United Way helped sponsor their training in Check & Connect, an acclaimed research-based national model for keeping kids in school. "High School Plus" Summits provided an update on community efforts that impact local children from birth through high school graduation... and beyond. The summit is co-hosted by the Greater Bloomington Chamber of Commerce Franklin Initiative and United Way of Monroe County. 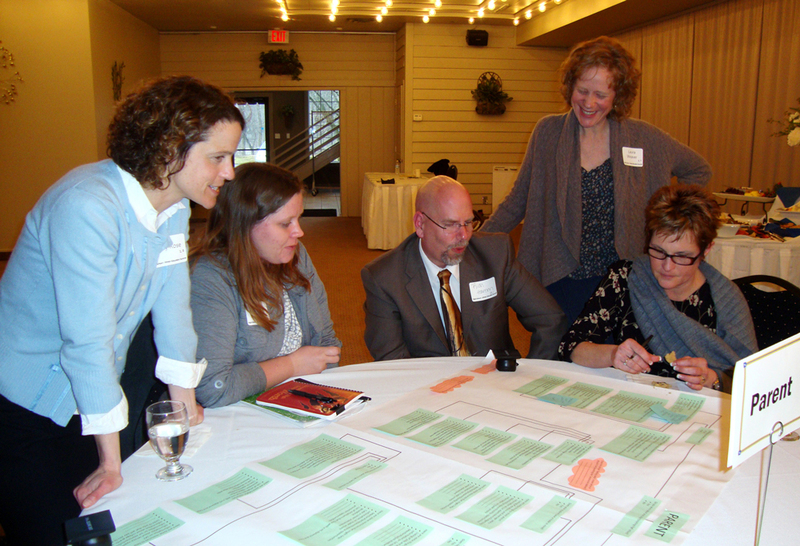 See photos from the 2013 Winter Summit. The Monroe County Prosecuting Attorney's Office provides information and resources for reducing dropout rates. That information is provided here (monroeprosecutor.us/prevention-education/dropout-prevention/). Local graduation rates for area school districts can be viewed here (https://compass.doe.in.gov/dashboard/graduates.aspx?type=state).